Remember as a child how much fun it was to go to the movies? Parents can give that same experience to their children, but for free or nearly free every summer. Many movie theaters open the doors in the summer with free or nearly free movies for kids. Along with showing popular movies, some of the theaters also have games and entertainment before the movies are shown. Other theaters offer special prices on concession stand refreshments. The free or cheap movies shown during the summer programs are not often the newest movies out, but when the movies are shown on the big screens, with huge sound systems, and in a dark, cool theater, it is a fun and exciting event for children. Theaters are almost always running the summer movies on a weekday in the mornings. All of the theaters recommend that people should get there early because of crowds and because most have a first come and first serve policy. Parents will want to pack up the kids early to ensure that they get a seat. The free and cheap summer movie programs are fun and affordable. It gives the kids something fun to do and gets them out of the heat. Here are some of the theaters that have offered the programs. Malco Theatres "Kids' Summer Film Fest"
Malco Theatres has an annual summer film festival for kids from June through the last week in July. During the annual eight-week event, Malco Theatres offers discounted admission for popular kids movies beginning on the first or second week in June through the last week in July. The movies are shown on Tuesdays and Wednesdays at select locations in Arkansas, Kentucky, Louisiana, Mississippi, and Tennessee. Cinemark Theatres "Summer Movie Clubhouse"
Cinemark Theaters invites children of all ages to enjoy the annual "Summer Movie Clubhouse," which is a 10-week series featuring movies for kids priced at $1 or less. Cinemaworld has free summer movies each day, starting in June and ending in July. Kids are admitted for free and adults pay $2 for a ticket or they have the option to donate a non-perishable pet food item. In 2016, movies began at 10 a.m. and seating was on a first-come, first-served basis. Classic Cinemas "Wednesday Morning Movie Series"
Located in 12 communities in Illinois, children can enjoy nine weeks of recently released movies for $1 per movie.There are also games and activities planned for the children an hour before the movie begins. Cobb Theaters sponsors a free summer movie program at select locations. In 2016, the free movie program ran on on Tuesday, Wednesday, and Thursdays, beginning in June through the first week of August. Cobb Theaters are located in Alabama, Colorado, Florida, Georgia, Maryland, North Carolina, Ohio and Virginia. Flagship Cinemas offers free summer movies, including popular kid's movies. In 2016, the free movies were shown on on Tuesday, Wednesday, and Thursday mornings at 10:00 a.m., beginning the last week in June through August 11. Harkins Theatres "Summer Movie Fun"
Harkins Theatres runs a summer movie program for 10 weeks. Ticket prices were $2 at the box office in 2016. Tickets are issued on a first-come, first-served basis. Participating locations can be found in Arizona, California, Colorado, Oklahoma and Texas. Marcus Theatres has a summer film series for kids with discounted ticket prices, popcorn and fountain drinks. In the past, movies have been shown three days a week in June, July and August at select theaters. In 2016, the movie lineup included Night at the Museum, Curios George, How to Train Your Dragon, Horton Hears a Who and more. Marquee Cinemas offers a special selection of free movies each week during the summer at no charge. Marquess Cinemas are located in Connecticut, Florida, Kentucky, North Carolina, New Jersey, New York, Tennessee, Virginia, and West Virginia. Enjoy movies for just $1 for nine weeks during the summer at Regal movie theaters. In 2016, the event ran for nine weeks, every Tuesday and Wednesday, beginning the first week in June through August. 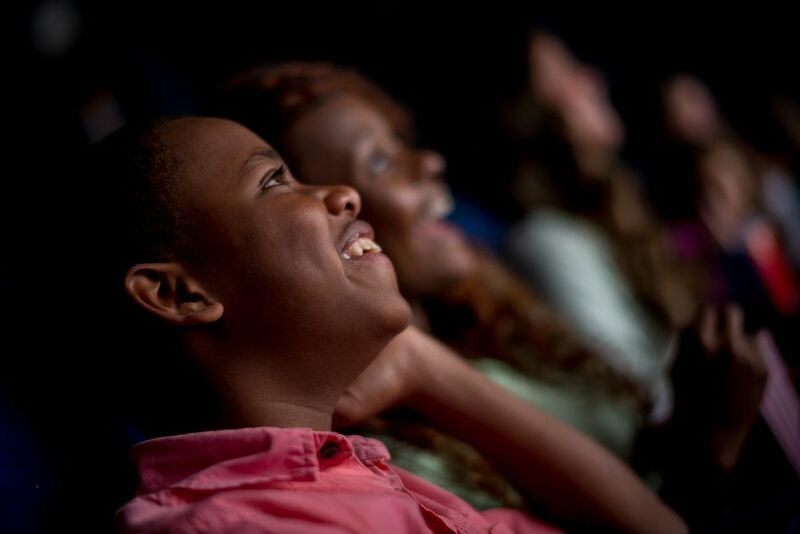 Showcase Cinemas runs a program during the summer designed to encourage children to read by rewarding them with a free seat at the movies in exchange for a book report. In the past, the program has run each Wednesday during the month of July. UltraStar Cinemas offered its summer movie series at both the UltraStar Multi-tainment Center at Ak-Chin Circle in Arizona and the Mission Valley at Hazard Center in San Diego. A different film was shown every week, Monday-Friday, at 9:30 a.m. In 2016, the Ak-Chin Circle summer program ram May 30 through August 5 and the Mission Valley at Hazard Center summer program ram June 27 through September 2.